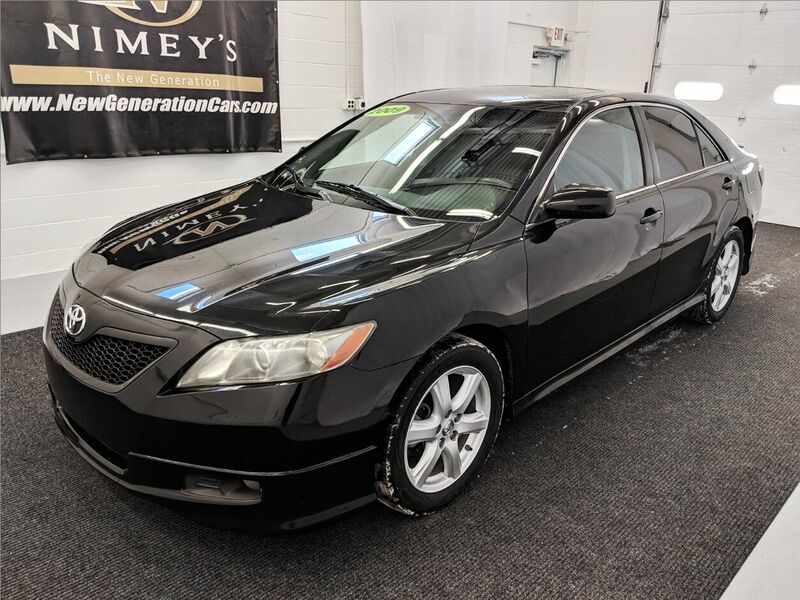 Discover excellence in our great looking 2009 Toyota Camry SE Sedan shown in Dark Charcoal! Powered by a fuel efficient 2.4 Liter 4 Cylinder with 158hp connected to a smooth shifting 5 Speed Automatic transmission. This Front Wheel Drive Sedan is fun to drive and offers incredible economy up to 31mpg on the highway. Our SE offers what most of us desire in a midsized sedan with a roomy cabin and comfortable seating that's dependable. The stellar sound system comes complete with AM/FM radio, a CD/MP3 player, and an auxiliary audio input jack, so the musical possibilities are seemingly endless. This Toyota Camry offers fantastic safety features like daytime running lights, tire pressure monitor, and multiple airbags. Print this page and call us Now... We Know You Will Enjoy Your Test Drive Towards Ownership!